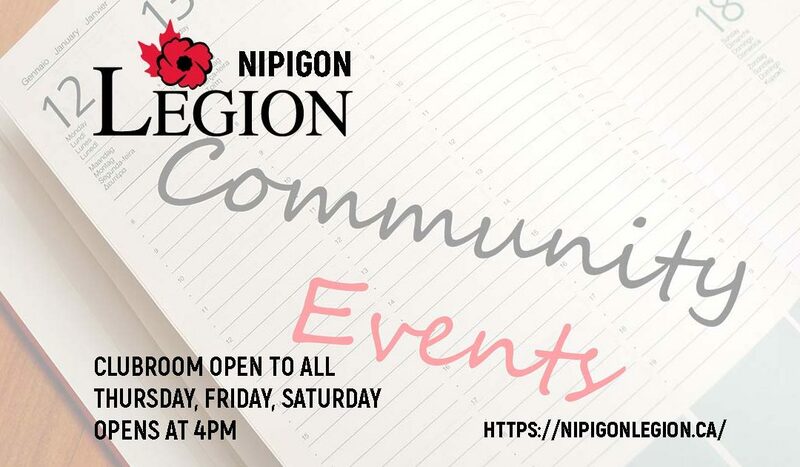 Dr. Paul Kavanagh, the founder of Operation Veteran, will be visiting Nipigon March 7-9. The Legion will be hosting a pot-luck supper on Friday, March 8 at 5:30 P.M. to honour Paul and his efforts with Operation Veteran. We also want to acknowledge the support he has given our local youth by inviting them to sing at the Operation Veteran program in Ottawa this past Remembrance Day. He has now adopted the song “Freedom” (written by GONPS choir members) to close his program every year and has invited our youth to sing live again in Ottawa in 2020. The Legion will be reaffirming its support of Operation Veteran. Please come out and meet Paul and learn about this worthwhile program that supports Veterans and educates our youth.